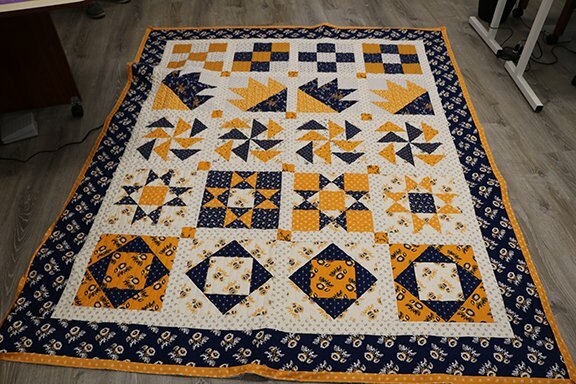 In this beginner class we will learn to use rulers and rotary cutters to cut accurately, piece accurately and build the skills we need to make beautiful quilts. This class meets weekly for 10 weeks and will piece, machine quilt and bind your quilt. You will need to complete some sewing at home, so a sewing machine is necessary. We have machines you may use during class or you may bring your own if you prefer. Bring basic sewing supplies, scissors, needle, thread, paper and pencil for notes and rotary cutter, if you have one. Supplies are extra, if purchased at the shop, receive 10% discount.